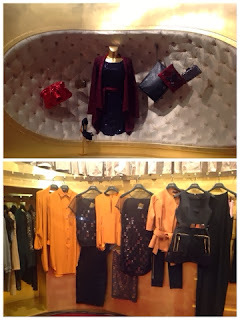 Yesterday evening was marked with a sense of High Fashion at the Etoile "La Boutique" in Dubai. 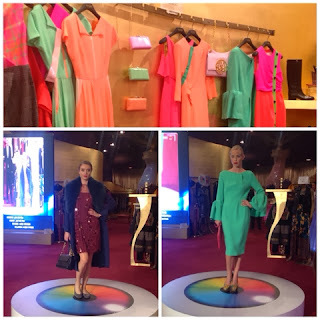 The lovers of fashion made their way to Mall of the Emirates starting at 5pm to catch the Fall - Winter 2013 from the house of Dior, Ingie Paris, Jo No Fui, Valentino, and Roksanda Ilinicic among others. 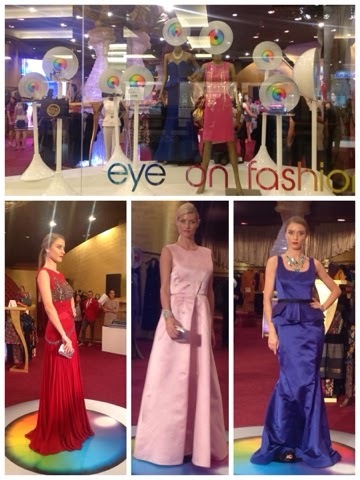 As the models walked around the store strutting their stuff the guests enjoyed the music, hors d'ourves, fresh mocktails and a nail booth by NCLA while appreciating the seasons latest trends. Flowing dress, bold reds, fitted jackets, colour blocking, statement jewellery and a lot of bling characterised this seasons collection. The lady herself Ingie Chalhoud with Giuseppe Panico, Head of Marketing, Etoile Group. Short dress, skirts, leather jackets, blingy shoes and shinny Clutches were all part of the glamorous evening.